The Clubhouse restaurant at Minthis Hills, is open every Friday evening hosting a different theme each week. Enjoy the beautiful long extended summer evenings in their comfortable and luxurious Clubhouse, taking in the magnificent golf and mountain views, and experience something new each week. 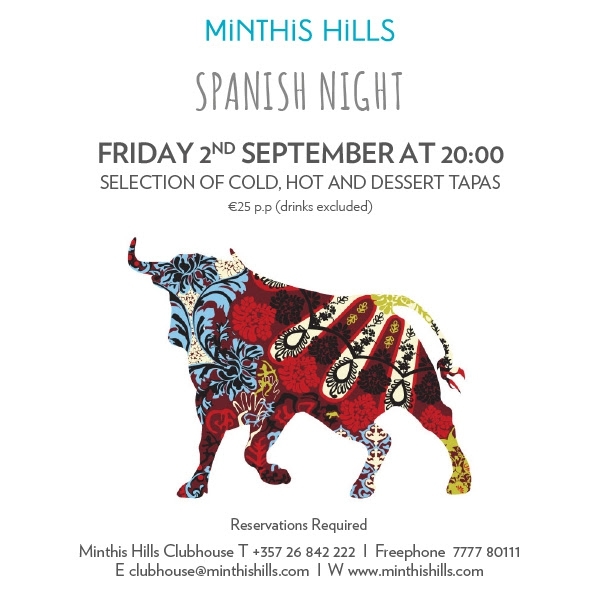 This week, Friday 2nd September, enjoy Spanish night at 20:00. Selection on cold, hot, and dessert Tapas.